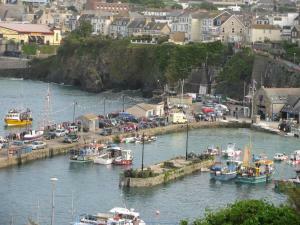 Forget-Me-Not is a holiday home situated in Mevagissey, 47 km from Plymouth. 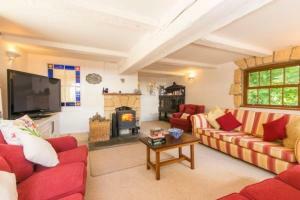 The unit is 49 km from St Ives, and guests benefit from free WiFi and pri.. 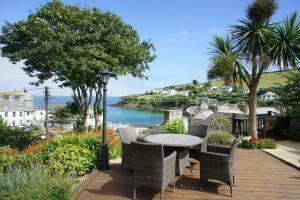 Situated in Mevagissey in the Cornwall Region, this holiday home is 47 km from Plymouth. The property features views of the garden and is 50 km from S..
Bosprennis offers pet-friendly accommodation in Mevagissey, 47 km from Plymouth and 50 km from St Ives. The property features views of the garden and ..
Badgers Holt offers accommodation in Saint Wenn, 48 km from Plymouth and 21 km from Newquay. 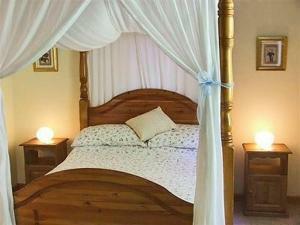 The property boasts views of the garden and is 41 km from.. 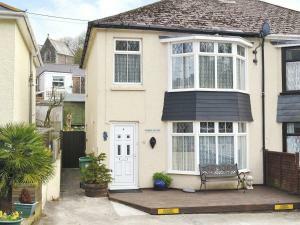 Situated in Mevagissey, this holiday home is located 47 km from Plymouth. The unit is 50 km from St Ives. The kitchen features an oven, a toaster and..
Sea View House is a holiday home with free WiFi, located in Newquay, 1 km from Fistral Beach. Guests benefit from terrace. Free private parking is ava..
Dover Row Cottage is a holiday home featuring a garden with a barbecue, set in Zelah. The property is 32 km from St Ives and features views of the gar.. Located 1 km from Fistral Beach and 300 metres from Newquay Blue Reef Aquarium, Waves Cottage offers pet-friendly accommodation in Newquay. 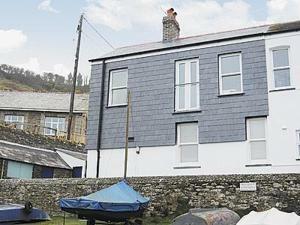 The holida..
Seacharm is a holiday home located in Gorran Haven, 48 km from Plymouth. The unit is 50 km from St Ives. There is a dining area and a kitchen equippe.. 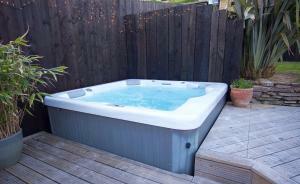 Situated in Gorran Haven, this holiday home is located 48 km from Plymouth. The unit is 50 km from St Ives. The kitchen features a dishwasher and the..